Kindle British Mystery Book Club – This is a book club for people who love British mysteries both modern and classic. You do not have to own a Kindle. This is a book club for people who love British mysteries both modern and classic. You do not have to own a Kindle. “Slough House is a dumping ground for members of the intelligence service who’ve screwed up: left a service file on a train, say, blown a surveillance, or become drunkenly unreliable. They’re the service’s poor relations – the slow horses – and most bitter among them is River Cartwright, whose days are spent transcribing mobile phone conversations. Well we now have our final nominations in for our possible two group reads for December 2017 and we have some cracking choices. The Mermaid’s Singing by Val McDermid which is great value in the UK on kindle at just 99 pence. Value read’s there are three to choose. A psychological suspense debut novel is our read this month with “Good Me, Bad Me” by Ali Land. This book has also been a Richard and Judy book club pick for their site. Click either book for further details on these titles. 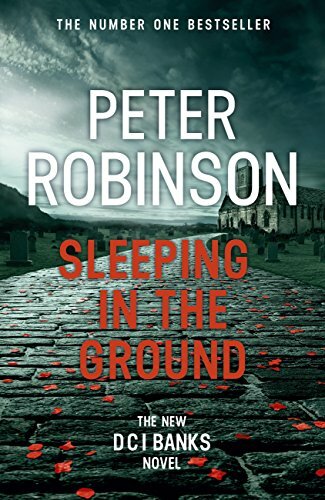 Released today in UK and it is the 24th DCI Banks book. “A shocking mass murder occurs at a wedding in a small Dales church and a huge manhunt follows. Eventually, the shooter is run to ground and things take their inevitable course. UK Price on Kindle at Amazon is £9.99. Nominations are now open for the August Group Reads and will close on 16th July 2017 at midnight GMT. Voting will then be from 18th to 25th July 2017 inclusive. Value books must be £4 ($6.02) or less and will also be added from the freebies board or good finds. 1) If your nomination wins – you will be asked to be the discussion leader. 2) No self-nominations by authors please. 3) Please try not to repeat an author we have read in the last year, for the sake of variety. Check the bookshelves to see the authors we’ve read in the past year. 4) For your nomination please try and include Title, Author and Link (Use the “add book/author” link at the top of the comment box). 5) Please ensure your nomination is a British Mystery. See the thread https://www.goodreads.com/topic/show/… for what is considered a British Mystery if you are unsure. If you nominate a book that is part of a series please be sure that it can be read as a standalone for those members that may not have read the other books in the series. From British thriller master Mark Billingham, a recent finalist for the Crime Writers’ Association Dagger in the Library, Die of Shame is a chilling story of addiction, subterfuge, and murder. Please note clicking the book will take you to Amazon if you wish to buy it. Kindle British Mystery Book Club Blog at WordPress.com.